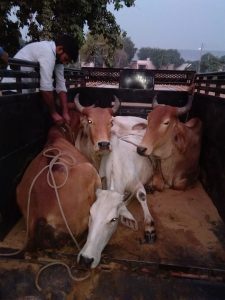 A few more cows were saved from the clutches of slaughter homes and safely reached to the ShivYog Gaushala in Alwar, Rajasthan. 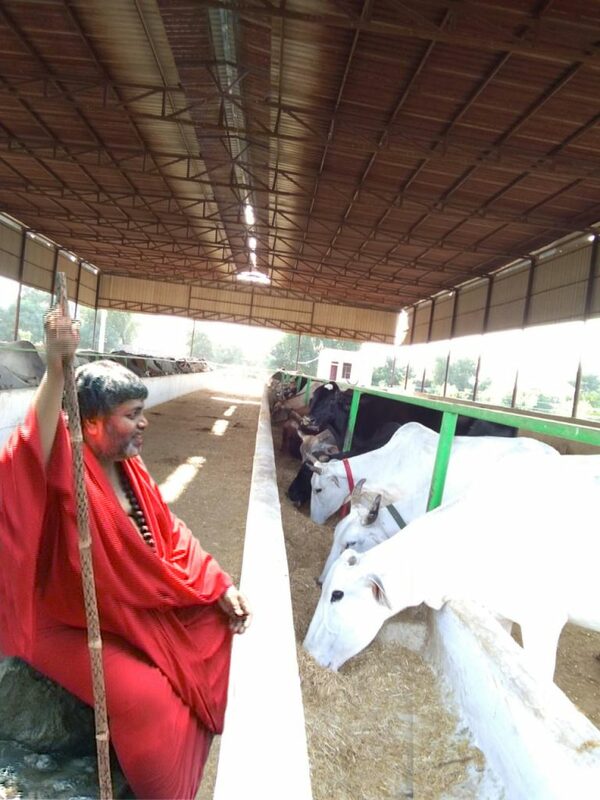 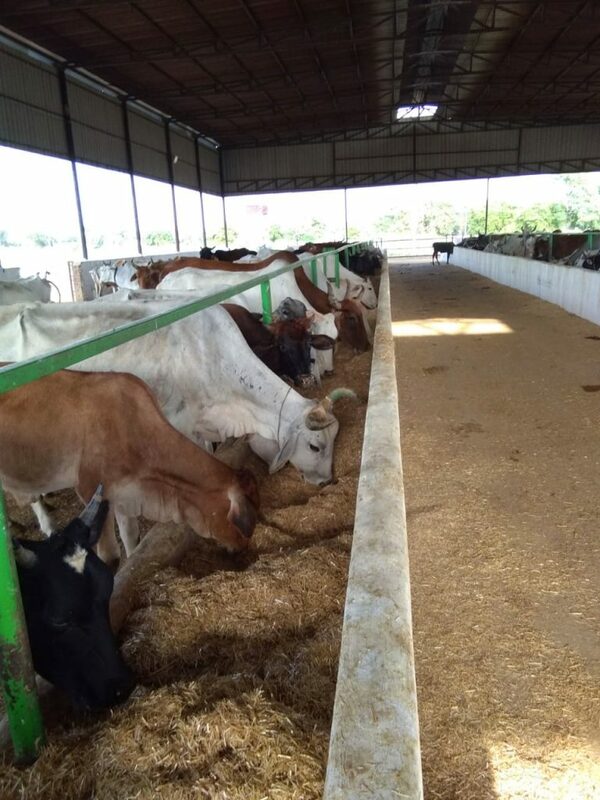 The cows now join the safe 800+ cows in this massive shelter built specially for cows by the Shiv Yog Master Avdhoot Shivanand, who has been taking care of this Gaushala. 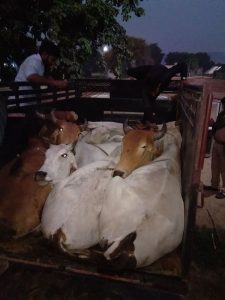 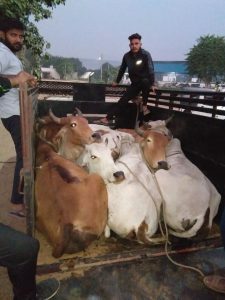 It was a sigh of relief and end to the turmoils of these cows, who were tightly packed in the vehicle to be transported to the slaughter house, but saved in time by the authorities and managed to be reached to the Shiv Yog Gaushala by Shiv Yog volunteers. 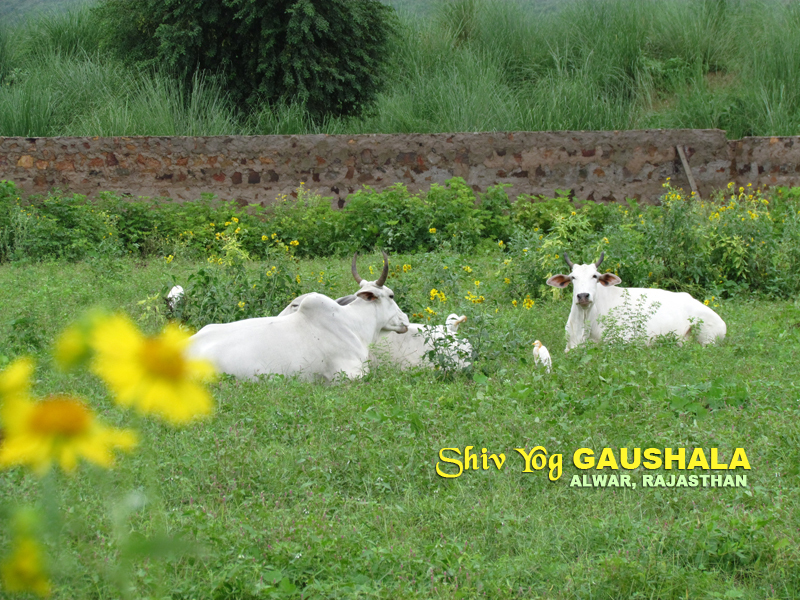 The place where cows like these find it a safe haven, with plentiful of hay, fodder, water and more of all – the shelter and freedom to live in this huge area that is inhabited by only a large family of cows.